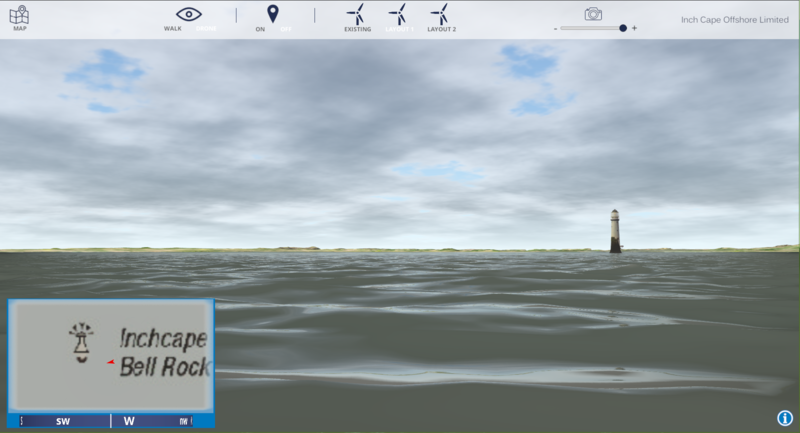 SLR’s VR team has recently completed a virtual reality model showing a proposed offshore windfarm for Inch Cape Offshore Limited near the Angus coast. 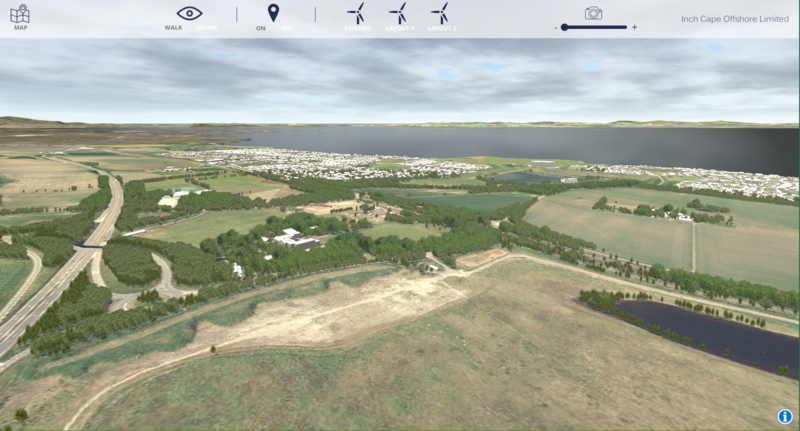 The scale 3D model, which replicates real word views, has been used for public consultations; allowing a chance to see the proposed views, and enabling an investigation of the landscape visual impact assessment of the proposed windfarm. The model also allowed Red Rock Power to interact with the public, giving them peace of mind that the windfarm will not have a negative impact on their home or environment. SLR’s model itself has an interface which allows the user to navigate the model by ‘teleporting’ to certain points, using a postcode search function, a scrollable map, place markers, selected viewpoints, places of interest, and substations. 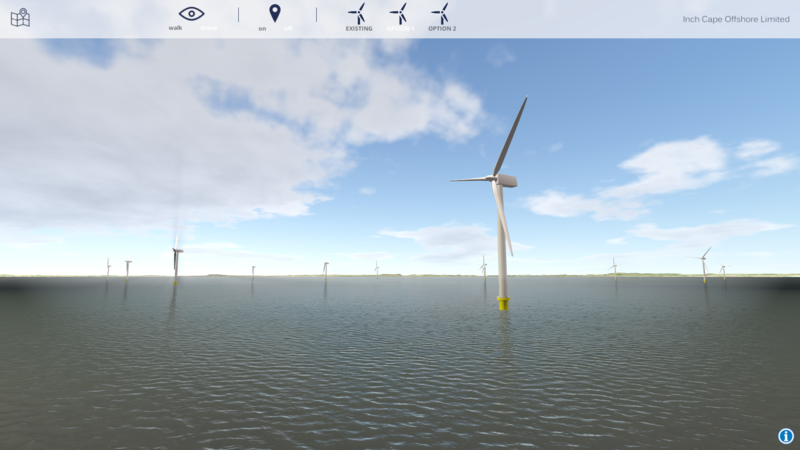 There are also buttons to turn on or off the windfarm development – allowing the user to view the landscape in its current form, compared with the two different options for the proposed windfarm. There is also an ability to navigate in bird’s eye view, as well as ground level. Inch Cape Offshore Limited invited members of the public to view the latest proposals for the site at a consultation on the 3rd of October. The company was given exclusive development rights for the site in 2011 for a differing plan; it now intends to build 72 wind turbines which could provide power for around half a million households.